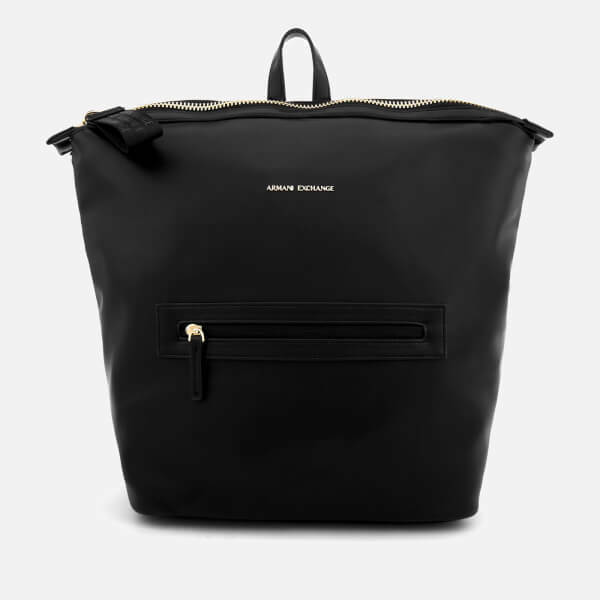 Women’s black backpack from Armani Exchange designed with a tapered base structure. 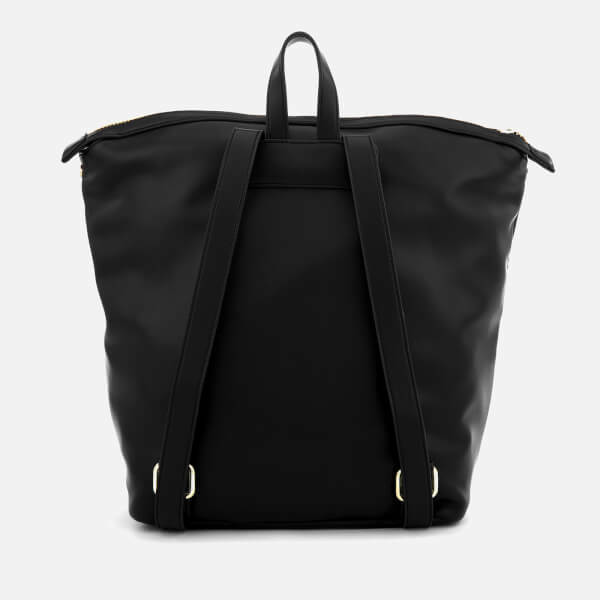 Crafted in smooth faux leather, the ‘Lollipop’ rucksack comprises a top zip fastening that opens to reveal a spacious, lined internal with a zip pocket and two slip pockets. A top grab handle and dual adjustable, customisable shoulder straps offer versatile styling options. 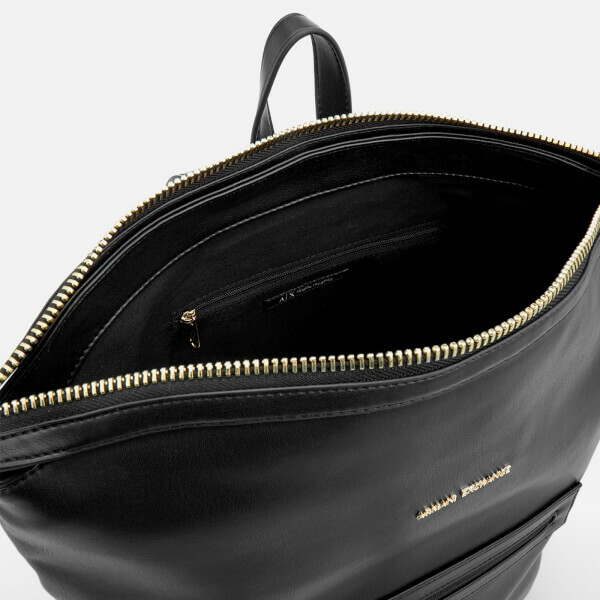 Featuring a front zip pouch, the bag is detailed with gold-tone hardware, side poppers to compress the shape and debossed branding to the front. Finished with a branded tape loop zip pull.